I will also take any other modes of transportation with diamonds. 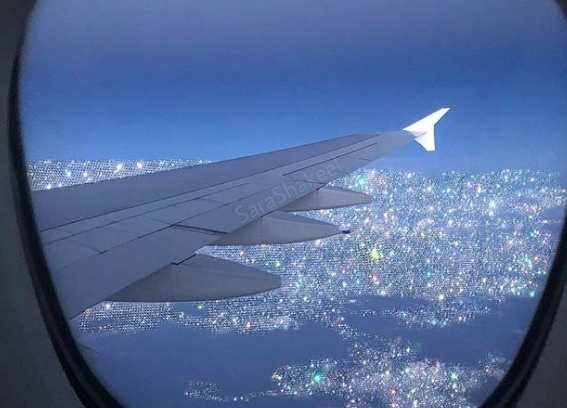 The internet is a buzz after Emirates airline posted a picture of a plane covered in diamonds and crystals and frankly, I have questions. The Emirates ‘Bling’ 777 – a brilliant play on words if you ask me – was pictured on the tarmac surrounded by luggage carts, a shuttle bus and other notably non-diamond encrusted vehicles. Which brings me to my first question - wouldn't it be too heavy to fly? Turns out my first question was echoed by many users on Twitter with some users commenting that not only the extra weight but the aerodynamics would take a serious hit. 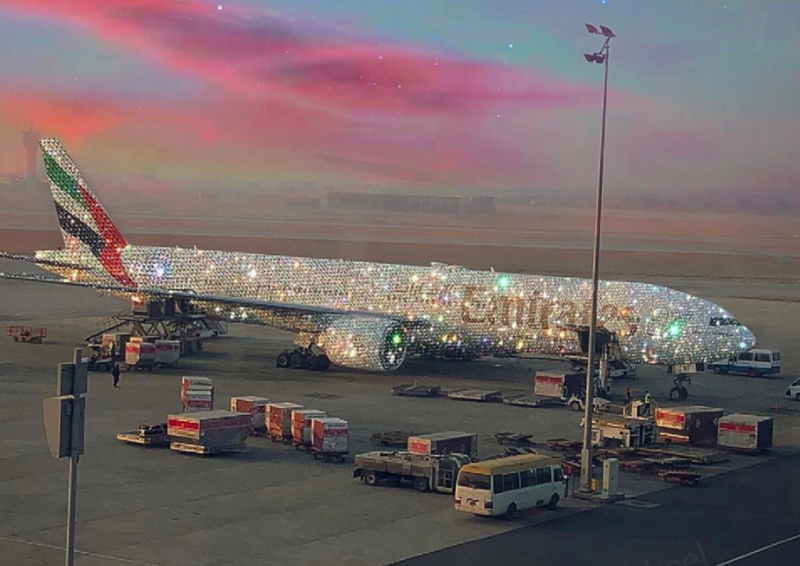 Next question - what is the ratio of diamonds to crystals - and how much would it cost to cover this plane with all that glitters? A Boeing 777 - the boring, non-glittery kind - is between 65 and 74 metres approximately - so the answer to that one is ... a lot. And how big must those diamonds be to be so highly visible from such a distance? Then, I zoomed in on the plane's engines - how well would the airplane be able to function with the engines all covered with jewels like that? ... now you're with me! This photo is a piece of ART - and not just because it is beautiful Crystal Artist Sarah Shakeel - she even made a follow up image after boarding her jewel-less plane depicting crystal infused clouds. So, my dreams are crushed. No diamond encrusted planes for me - but good news! 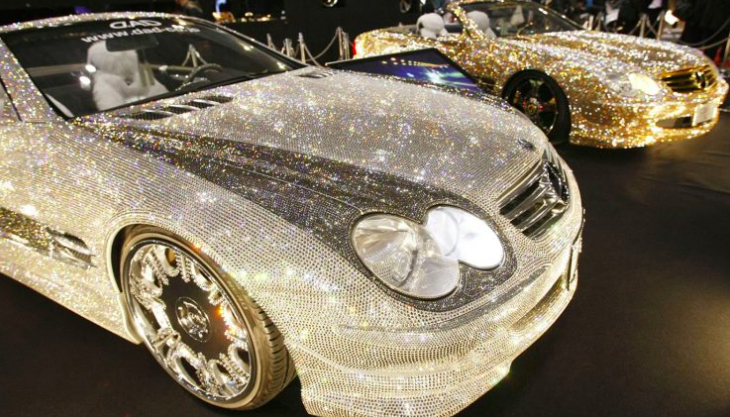 Crystal covered cars really do exist! So what do you think? Did you wish the gem-covered plane was the real deal?